About Sikar: Sikar is the largest thikana ruled by Shekhawat Rajputs in Shekhawati. The last titular ruler was Rao Raja Kalyan Singh (1922-67). The city is surrounded by many places of tourist attraction. If we go through the pages of history, Sikar was once the center of art, culture & Wealth. After Independence the prosperity increased in multifold. Today Sikar is carrying the rich legacy, heritage & sculpture along with modern educational institutions and other infrastructural facilities. The Sikar Royal family played very important role in 18th and 19th century by balancing the powers with Jaipur State and Britishers. 1- The main places to visit in and around Sikar are the Sikar Fort, Laxmangarh Fort, Khatu Shyam Ji Temple, Raghunath Ji Temple, Gopinath Ji temple, Madan-Mohan Temple, Jeen Mata Temple, Madho Niwas Kothi, Rani Mahal, Gopinath Ji Mandir, Diwan Ji Ki Haveli, Sagarmal Sodhani Haveli, Biyani Haveli and many more. 2- “Madhav Sagar” pond is a unique place in itself as it was built to provide employment to the people of Sikar during the great Rajputana famine of 1899. 3- Clock Tower, Jubilee Hall, Raja Laxman Singh’s Cenotaph, Raja Devi Singh’s Cenotaph & The building of Kalyan College, Sikar are also few heritage tourist site for sculpture enthusiasts. Sikar is well connected by Railways, Road and Air (Via Jaipur). 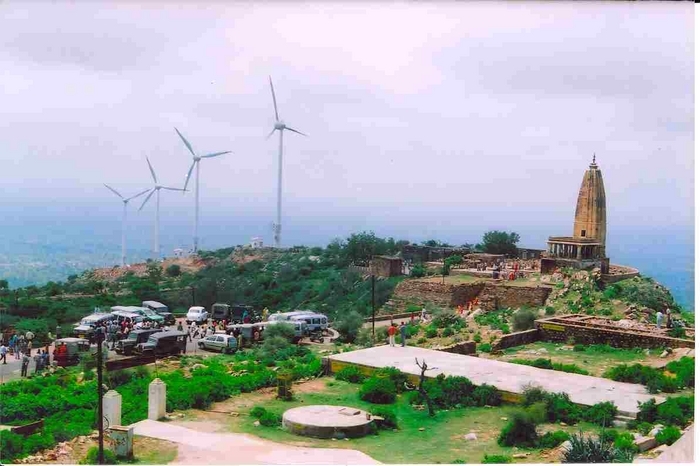 The city is situated on Jaipur-Bikaner State Highway Road. While entering from Jaipur side, It is the gateway of Shekhawati region and the great Thar Desert. Sikar Junction is the center point for Jaipur-Churu-Bikaner and Jaipur-Loharu-Rewari-Delhi rail routes. Sanganer International Airport Jaipur is the nearest Airport. Otherwise Delhi International Airport is also equvi-distant. The climate of the city is at par with other towns of Shekhawati, mid April to July temperatures are always on higher side. Other than this rest of the year is pleasant. Monsoon rains are also on moderate side. The city surroundings are lush green and pleasent.